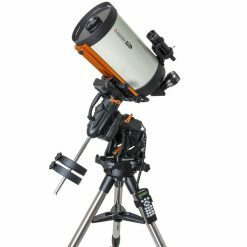 Celestron Astro Fi 90 Refractor Telescope - WiFi App-driven Astronomy! 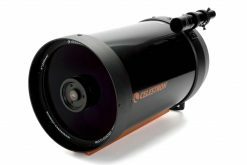 This special introductory pricing by Celestron on their newest range of telescopes, the Astro Fi series, is valid only while stocks last. 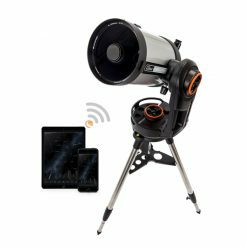 Introducing a high quality entry-level beginner telescope that you can control via integrated WiFi using the free Celestron SkyPortal app for iPhone, iPad, and Android devices! 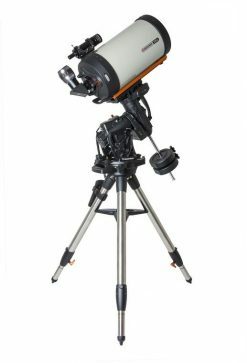 This 90mm refractor with fully coated glass optics provides outstanding views of the moon, planets, bright nebulae, and more. 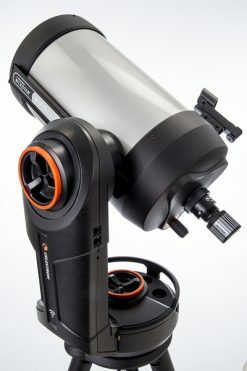 Includes a finderscope and two eyepieces, so that you’re ready to get started as soon as your new telescope is unboxed! 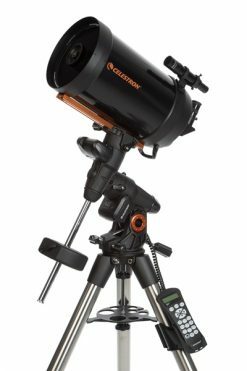 Take command, and explore the universe today with Celestron’s fully-automated GoTo and tracking technology. Your new telescope will find everything for you, with no prior knowledge required! 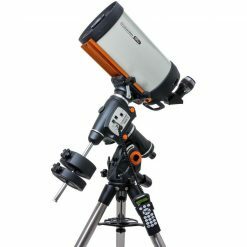 Learn about the objects you’re looking at through the app by simply tapping on them, or sit back, relax, and take Celestron’s advanced sky tour, letting the telescope show you the very best of what’s up in the night sky. 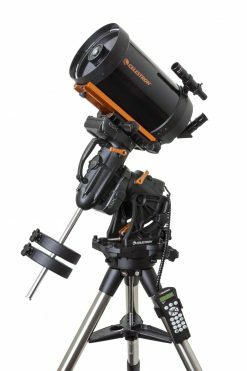 Celestron is not only changing the way we experience astronomy, but also the way you interact with the night sky. 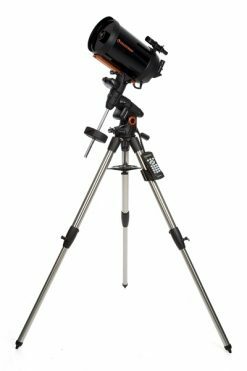 The Celestron Astro Fi 90 Refractor is a fully featured telescope that can be controlled with your smart phone or tablet using the free Celestron SkyPortal app. 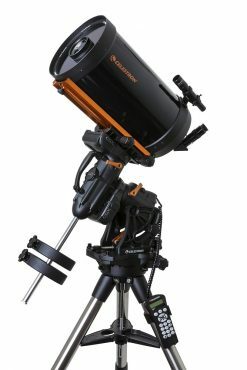 Celestron’s SkyPortal app replaces the traditional telescope hand control for a 100% wireless experience. 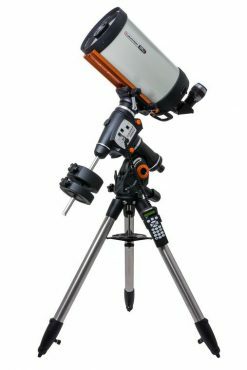 Just hold your smart device up to the night sky. When you find an object you’d like to view, tap the screen. 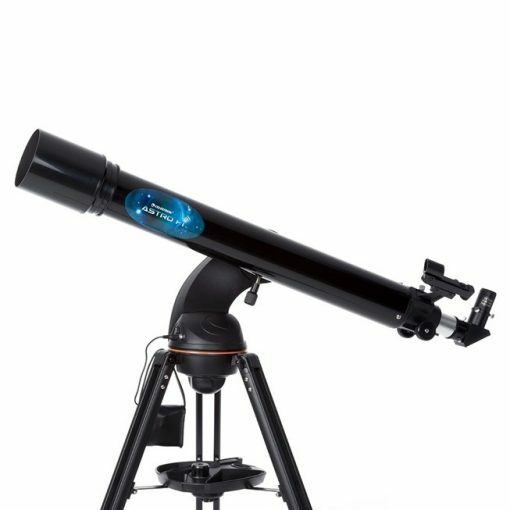 Your Astro Fi telescope automatically slews to the object, while the screen displays information about it. It’s never been more fun to explore the universe!The Astro Fi 90 creates its own wireless connection, so it can communicate with your device even in remote locations where WiFi or cellular networks aren’t available. 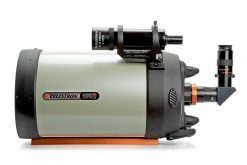 Getting ready to observe is quick and painless thanks to Celestron’s award-winning SkyAlign technology. 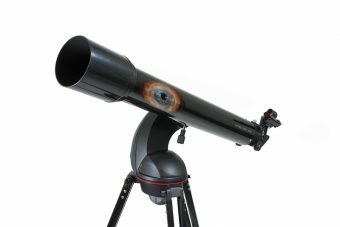 Center any three bright objects in the eyepiece, and your telescope calculates its position. 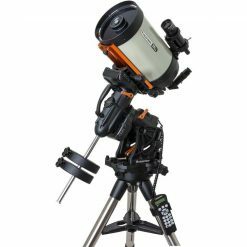 You can even generate a Sky Tour of all the best celestial objects to view based on your exact time and location. No prior knowledge of the sky needed! 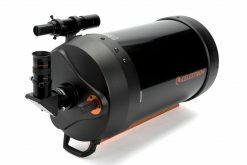 Innovative WiFi technology powers the Astro Fi, but it’s the optics inside the telescope tube that make it a Celestron. 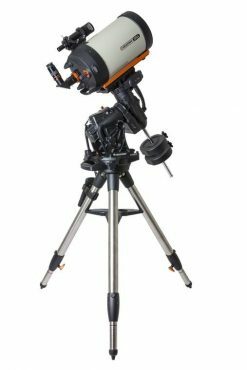 For over 50 years, we’ve led the industry in optical technology—and we put that experience into the Celestron Astro Fi 90. 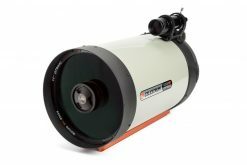 This 90 mm refractor with fully coated optics offers dazzling views of craters on the Moon, the rings of Saturn, the Great Red Spot on Jupiter, the Orion Nebula, the Hercules Globular Cluster and so much more. 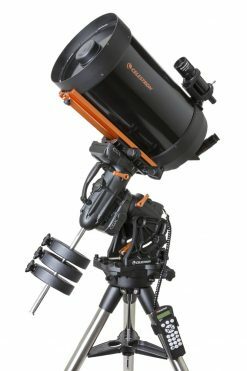 If you’re looking to buy Celestron telescope in Australia, look no further than Bintel. 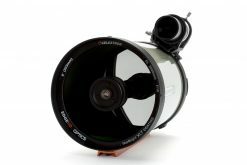 We are a Premier Select Dealer and Service Centre. 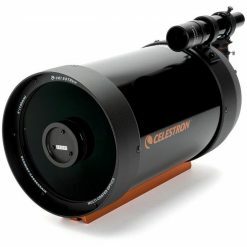 Every Celestron telescope we sell is covered by the Celestron Authorised Australian Warranty. 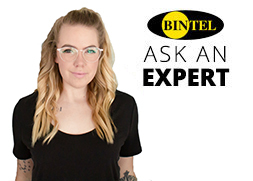 We ask you to browse our huge range of products, and please feel free to drop into our Sydney store or give us a call!